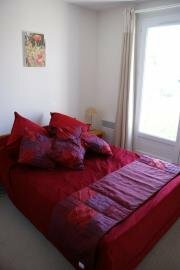 Description of Property: Two bedroom villa sleeping four in a modern, secure complex. 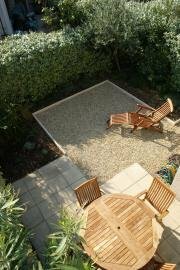 The property, which is approached by a quiet walkway bordered by shrubs and flowering plants, features, on the ground floor, a large L-shaped lounge/dining room with small fully fitted kitchen and separate cloakroom. 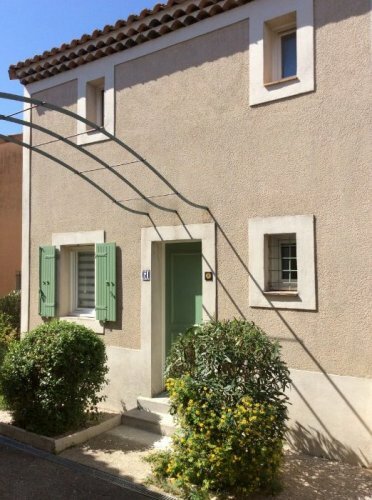 Upstairs the property features a double bedroom with door to balcony giving views over the nearby Garrigue hills, a twin bedroom also with large fitted wardrobe and a bathroom with bath and shower over and toilet. Air conditioning to both upstairs and downstairs. Outside Amenities: A fully enclosed private garden with patio area with hardwood dining table and chairs for four, steamer type recliners and BBQ. Surrounding Area: Within easy walking distance of the beautiful medieval centre of Uzès with its cafés, restaurants and fabulous weekly markets in the Place aux Herbes. The Pont du Gard Roman Aqueduct and the historic city of Nimes, with its Roman Arena, and Avignon, with its famous Palais des Papes, are all a short drive away. To the west are the Cevennes mountains and east into Provence are the wonderful Luberon mountains with numerous 'perched' villages. 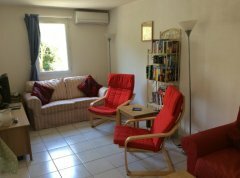 Central heating (Room radiators and reversible air conditioning both upstairs and downstairs.). The site pool is only open in Summer and cannot be used out of season. The house has air conditioning both upstairs and downstairs. Pricing Info: £795 per month or £395 per week with electricity charged as used. Please see www.ownersdirect.co.uk/France/fr9034.htm for details of our Summer rentals and our year round availability calendar. As an alternative to paying in Sterling, we are happy to receive payment in Euro direct to our account in France with the rental price converted at the exchange rate at the time of booking. All prices include local tourist taxes. To secure a booking period a non-returnable deposit of 30% of the agreed rental price is payable, with a minimum of £150 payable. A returnable security deposit of £500 is payable to cover the potential for damage and also electricity charges. Full payment of the rental sum due and security deposit is payable eight weeks before commencement of the rental period. Electricity is charged according to usage with meter readings taken at the start and end of the rental period. An initial supply of bedding and towels is provided. End of stay cleaning costs are £125 including the hire and end of stay washing of bedding, bath and tea towels. Please see our website link below under contact details for Summer holiday lets where the availability calendar is kept up to date for year round bookings.